One of my favorite places to shop for nail polishes is Market Market's department store. 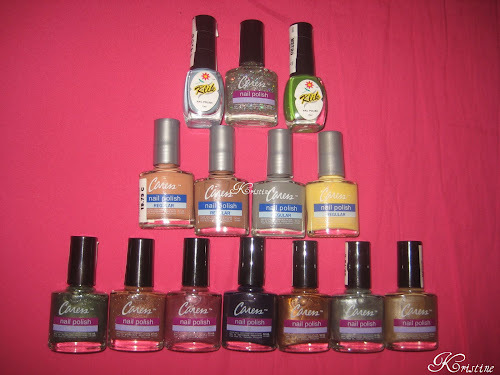 Their nail polish section is not so big but they have wide array of colors and various brands. If you are from the Philippines and if you happen to live near Taguig area, then I suggest that you check this place out. 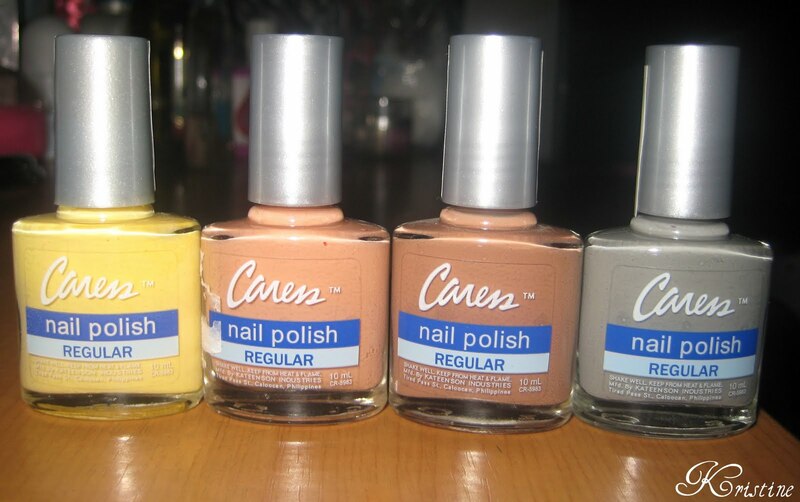 So, I went there recently and got some more nail polishes. I am a beginner in making nail art tutorials and I don't wanna invest in high-ends mail polishes yet. So, I want to collect cheap brands first. 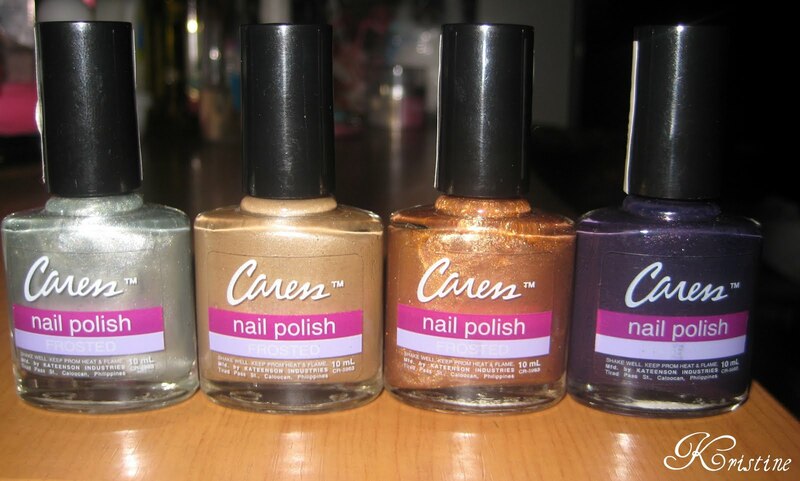 One of my favorite Philippine drugstore nail polish brand is Caress. The colors are great and the quality is also very satisfactory. I purchased four from the Regular line. Regular meaning the color is matte and it's not shiny, shimmery or anything. Real Tan is also very sheer but has a pinkish/salmon undertone so I don't know why they called it Tan. Touch of Tan is a lighter brown. Since I have dark skin tone, I won't be using this as a solid paints on my nails since it will definitely make my hands look darker. Instead, I'm going to use this for making Donuts or Rilakkuma nail arts. Diamond Gay is a really pretty gray and also very matte. Unlike most gray nail polishes which make hands look darker, I tried it on as a solid nail paint and it looked amazing! Next, I got these from their Frosted line. These are glossy and shimmery and could be used for night outs or to a party. Iced Latte is a pretty glossy mocha tone and it's perfect for girls with fairer skin tone. I also got three shades from the Glazed line. 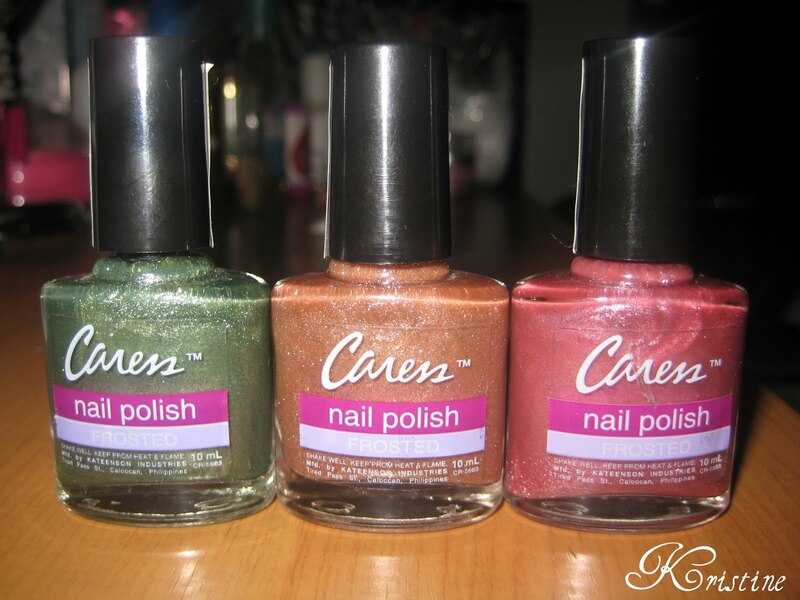 These nail polishes are very glittery and I think glitters are very pretty. But the colors are not very flattering on my skin tone. 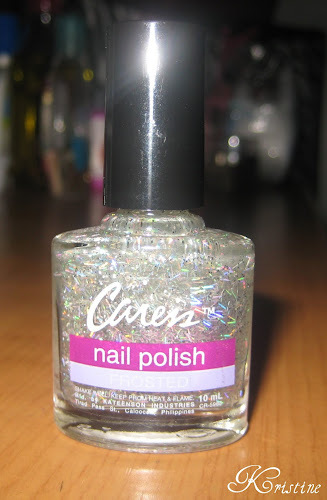 I saw this pretty glittery nail polish which is also from their Frosted line. It's perfect on top of any plain nail polish or on top of cute nail arts. It has round glitters and also has long glitters which I think look like confetti. Since, they are so cheap you can't expect too much from them. The texture is very thin and the color is very sheer. I had to apply 5 coats to achieve the perfect shade that I wanted. Nonetheless, the colors are still good and I have used these in some of my tutorials and they were fine. That has been my drugstore nail polish haul for today.